FOR the first time, food manufacturers can provide their employees with a glove that will be detected should it, or pieces of it, fall into food products. This premium quality, powder-free metal detectable blue vinyl glove, available from Autopac Systems Pty Ltd , combines comfort with product safety, offering the ultimate in safe food handling. The glove is detectable in the electromagnetic range of 50Khz-1Mhz, ensuring that a small torn piece will not pass through metal detectable equipment to contaminate the final product. 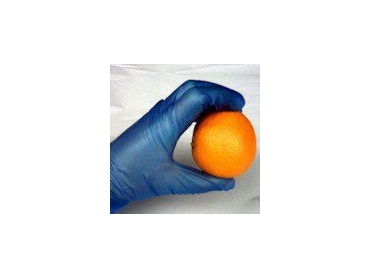 The Detectamet glove meets FDA/EEC plastics safety regulations for intermittent contact with food.